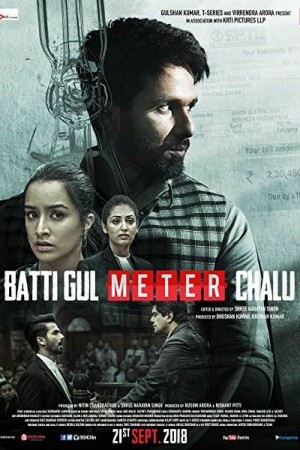 Batti Gul Meter Chalu is an Indian social drama film that revolves around the life of 3 childhood friends from a small city. Set up in Garhwal, Uttrakhand, the movie takes on the electricity issues ongoing in the rural areas. While SK is a mean & hypocrite lawyer who is involved in getting out of court settlements done to make some money, Nauti (played by Shraddha Kapoor) is an over-the-top fashion designer. They both come together to fight up against the issue of inflated electricity bills following the suicide of their friend Tripathi who started receiving inflated electricity bills, a few months after opening a small-town printing press.